MFX offers a variety of currency risk management services that go beyond hedging. These can range from a one-off analysis of a fund’s currency risk management strategy to an on-going risk management consulting and monitoring service. A local currency fund that wants to use diversification as a risk reduction tool while using hedging to balance its portfolio risk. A fund that wants to make a limited number of unhedged loans so as to be able to offer local currency at attractive rates but wants to monitor that exposure and use hedging strategically to lock in rates when they become attractive. The Service is built around a portfolio analytics model which shows the fund manager in real time her financial position and performance relative to current spot markets, forward markets and a variety of future currency scenarios. 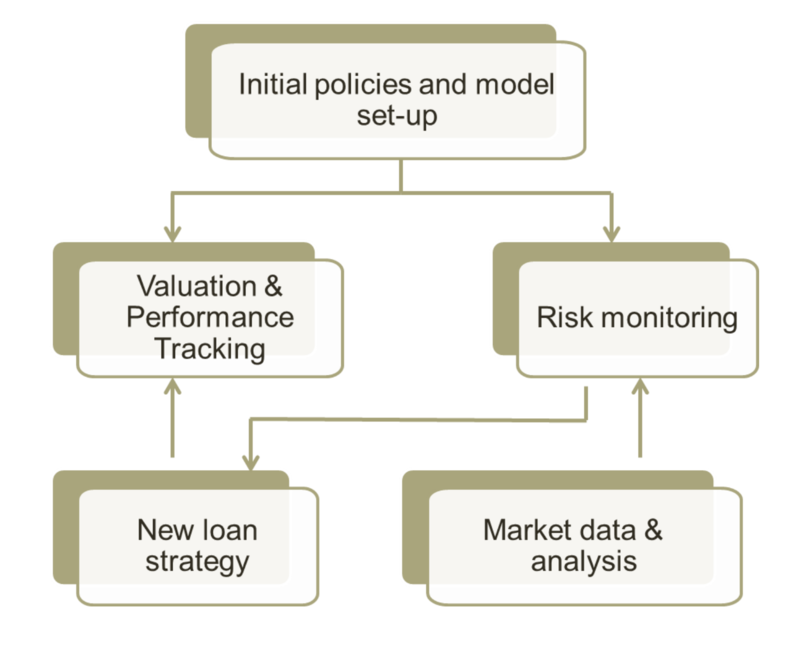 Using the model, the client can implement a risk strategy to guide decision-making on where to lend, whether to lend in hard or local currency, and whether and when to hedge a local currency loan. Once a client has developed a strategy, the model can stress-test it against a changing outlook. The model also provides all of the information needed for portfolio valuation, Value at Risk and exposure reporting. MFX’s model has been externally validated and is used as an analytical tool for MFX clients. MFX does not provide specific advice on trades.